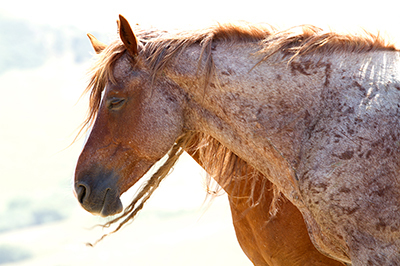 For the first time, experience the healing nature and spirituality of the wild horses who roam free at Return to Freedom in the comfort of your own home with this exclusive 44-card deck and accompanying guidebook. Created by equine intuitive Rachael Beesley and photographed by David Harris, the cards capture the power and mysticism of these beautiful creatures giving instant comfort, guidance and inspiration as the need arises. 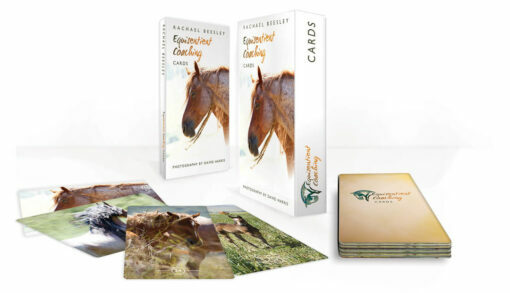 Simply draw a card which appeals to you and read the accompanying message, which Rachael has recounted using her innate ability to connect with the horse’s voice, and hear their wisdom and uncanny insight to help you in your daily life. Have fun, explore the comfort these wonderful horses bring, invite the power and insight of the wild horse into your life and marvel at the results. Whether it’s insight into a troubling problem, a confidence boost, or reassurance you are seeking, you will be astounded by the profound, relevant and multi-layered answers these messages give you time and time again. Allow the horses to connect with you through the cards – their perception and understanding is as powerful as if you were standing in front of them; then benefit from their wisdom and truth to help make empowered life choices. Rachael is the Founder of Equisentient Coaching, a culmination of her love of horses, extensive coaching experience and an amazing natural gift to connect remotely with our equine friends with fascinating accuracy. At the heart of her work is honouring the horse’s voice – deepening the connection between horse and human.